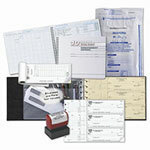 Our high security laser checks in the top style are provided by Deluxe Corporation and Carousel Checks. 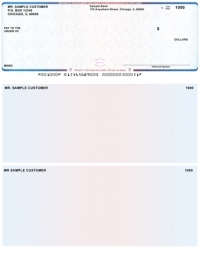 Both check printers offer high quality fraud protection and professional looking checks that meet the high standards of the Banking Association. The Deluxe High Security Checks are the most secure checks available and trusted by 7,000 financial institutions nationwide. One of their checks, Susan G. Komen checks are in the Checks for the Cure promotion. They not only show your support for breast cancer, but Deluxe Corporation donates up to $175,000 to the cause. 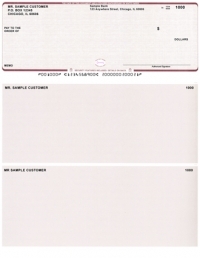 The Carousel Checks line of Top Style High Security checks come in singles, duplicates and triplicates. Featured benefits include heat sensitive ink, fluorescent fibers which prevent duplication and chemical protection paper which also helps deter duplication. 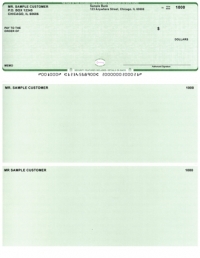 Available in five color combinations, these checks are inexpensive and easy on the accounting budget. Order today.